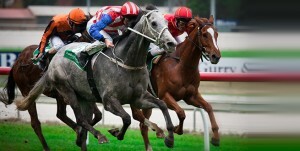 As long as there are horse races, there will be eager punters who are keen to back their favourite horses and jockeys. 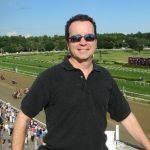 Horse racing wagering is another area of the industry that has significantly changed and improved with modern technology. These days, instead of having to trek to a bookie’s office, punters can place bets at home or on the go thanks to platforms and apps from international online sports betting operators. The advent of mobile technology means that they can get up-to-the-minute racing news, and major events like the Breeders’ Cup are even beginning to broadcast in virtual reality across the globe so that fans will never miss a meeting. It may all sound high tech already, but we could see a whole new wave of innovations incorporated into the sport in the coming years. For starters, a team of Australian scientists successfully shod a racehorse with the first ever pair of 3D printed shoes made from titanium. However, it may take some time before this becomes a widespread thing since a horse’s hooves can change every hour and printing one shoe takes several. Scientists are even becoming involved in the breeding process since it’s well-known within the sport that a mature colt or filly often outperforms those born later in a year within the same age bracket. To that end, Equilume recently designed a mask that will trigger early breeding times in mares, using a blue light to affect their …. The Sky Bet Handicap Chase will be run at the Doncaster Racecourse on Saturday, 26th of January. The three-mile race is one of the most prestigious on the National Hunt series. This year’s edition of the race will see a record amount of prize money go to the winner. For the first time, the Sky bet Handicap Chase winner will receive a £100,000 purse. Racing fans can stay up to date with the Sky Bet Handicap Chase and all of the horse betting in New Jersey this year. The Sky Bet Handicap Chase will be the main event at Doncaster as six other races will take place throughout the day. Thirty-seven horses have been entered to run this year’s Sky Bet Handicap Chase. Here is a look at the top five running at Doncaster on the 26th of January. Trainer Alan King has seen his Dingo Dollar take over the favorite’s tag in recent days. Major sportsbooks have installed the seven-year-old as the top horse despite not winning a race in the last 11 months. Dingo Dollar did win his last outing at Doncaster in February 2018, but finished the year as runner-up at Ayr. He also had fourth and third place finishes in two races at Newbury. Horse trainer Paul Nicholls has six horses entered in to the Sky Bet Handicap Chase. Give Me A Copper is believed to be the most likely to land Nicholls a fourth win at the prestigious race. Give Me A Copper has been lightly raced during his career. The horse has only run seven times with the last event coming in November 2017. Five of those seven races have ended in wins, including Give Me A Copper’s last outing at Kempton. Mister Whitaker is one of the most in-form horses competing at this year’s Sky Bet Handicap Chase. Trained by Mick Channon, Mister Whitaker won three of four races in 2018. In November, he finished fourth at the BetVictor Gold Cup at Cheltenham to end the season. He has never run a distance of three miles in a race. The step up in distance could greatly affect his performance at Doncaster. Nine-year-old O O Seven heads back to Doncaster Racecourse where he last won in December 2018. The horse won by half a length over three miles with jockey Aiden Coleman in the saddle. Trained by Nicky Henderson, O O Seven has seven career wins. The horse has always performed well at Doncaster and his most recent victory in December came after wind surgery. Adrien du Pont is Nicholls’ second favourite to win the Sky Bet Handicap Chase. The seven-year-old capped off 2018 with a win at Kempton by three and a half lengths over Just A Sting. It was the horse’s only win of the year. The win came over three miles, a distance Adrien du Pont hasn’t run at Doncaster previously. In January 2018, Adrien du Pont ran his first race at Doncaster. He finished third in the two-and-a-half-mile race. The Matchbook Clarence House Chase will take place on Saturday, 19th of January at Ascot. The race will see Willie Mullins’ Un De Sceaux clash with Nicky Henderson’s Altior in what could be one of the most exciting races of 2019. Nine horses will enter the gates for the race, but leading sportsbooks have Altior miles ahead of the competition. Horse racing fans can find the latest race odds at PA horse betting and stay up to date on all of the latest action. While Altior is the favourite going into the race, Un De Sceaux has won the Matchbook Clarence House Chase three years in a row. Will Altior end the day in the winner’s circle or will Un De Sceaux upset the favourite? Altior has won each of his last 16 races. The horse hasn’t tasted defeat since April 2015 at Punchestown. The nine-year-old is the easy favourite for this year’s Matchbook Clarence House Chase as Altior will renew his long rivalry with Un De Sceaux. In early December, Altior defeated Un De Sceaux at Sandown before finishing off the year with another win Kempton. Despite winning the last three Matchbook Clarence House Chase races, Un De Sceaux goes into this year’s event as a distant second in odds. The horse does offer good value to race betters as the Mullins’ trained horse aims for a fourth win at Ascot. Mullins has already stated the horse would prefer a very soft track. 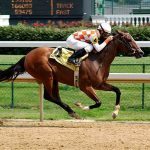 The trainer believes the 11-year-old horse would have a better chance of finishing the day as winner with soft conditions. Waiting Patiently’s last race at Ascot ended in a win last February. After a 312-day break, however, the horse finished off 2018 on a sour note unseating his jockey at Kempton. Trainer Ruth Jefferson watched her stable star win his first six starts over fences and hopes are high Waiting Patiently could win once more at Ascot. The horse is entered in the 32Red Casino Chase as a warm-up for the 19th of January event. Paul Nicholls’ Politologue finished a disappointing fourth in the King George IV Chase at Kempton in December. It came after two consecutive wins. The Sam Twiston-Davies ridden horse could bounce back with a big victory at this year’s Matchbook Clarence House Chase. His last two races at Ascot have resulted in wins. Politiologue is familiar with the course, but will be racing against some top-notch competition. Fox Norton has been labelled a “forgotten horse” as he attempts to battle Altior and company for a win at Ascot. The nine-year-old Colin Tizzard trained horse hasn’t won a race since November 2017. That win came at Cheltenham. The two-time Grade 1 winner has been beset by injury over the last year-plus. He is now ready to run and hopes are high in the Tizzard camp that Fox Norton will spring a surprise at Ascot. Prior to Fox Norton’s 2017 injury, the horse registered 11 career wins. 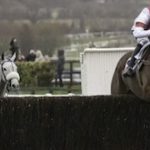 The most definitive race meeting of the National Hunt Season is swiftly approaching, and punters will be eagerly anticipating landing some big winners at Cheltenham Festival. 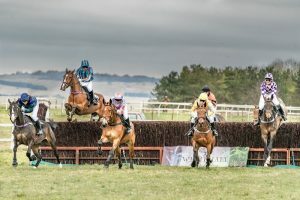 The four-day event is the most prestigious event in the British racing calendar, with some of the biggest prizes up for grabs and some of the finest horses in the business competing for a place in the record books. Here, we take a look back at the history of the world famous event and explore the roots of Cheltenham Festival. 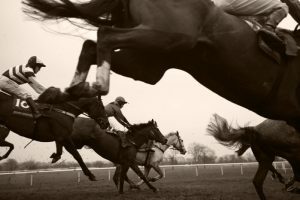 The early days: According to cheltenhamfestival.net, the Festival was originally known as the National Hunt Meeting and was staged at Market Harborough in 1860. It wasn’t until 1911 that Cheltenham became the permanent fixture for the National Hunt Meeting, Prestbury Park being the exact location. The famous track had held the festival in 1904 and 1905, in fact, but it took a further six years to become established as the home of the National Hunt Meeting. From 1911, the event was known as Cheltenham Festival and has remained that way to this very day, with much owing to Fredrick Cathcart. Cathcart was the Clerk of the Course and Chairman of Cheltenham Racecourse until his death in 1934, with much of his life’s work being based around making Cheltenham what it is today and establishing the Gloucestershire town as the headquarters for National Hunt racing. But as the new year begins on Tuesday, At The Races will finally be consigned to history. In its place: Sky Sports Racing, the youngest member of the squad of channels broadcast from Sky Centre in west London, alongside Sky Sports Premier League, Football, Cricket, Golf, F1 and others that cover multiple sports. Britain’s second-biggest spectator sport – 500,000 paying spectators in front of rugby union at the latest count – now has a place on Sky to call its own. When most American racing fans are reflecting on the Breeders’ Cup and perhaps looking back on the year in racing, the national hunt season just starts getting underway in the UK and Ireland. 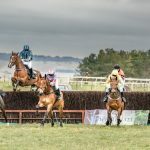 Now, a couple months into the season we are started to get a picture of who is going to be the movers and shakers at events like the Grand National and Cheltenham Festival. There is very little doubt that Altior is the best middle-distance chaser in the world right now and that shows up in the fact he is as low as 4/7 (Bet365) for the Champion Chase. He was impressive on his season debut at Sandown when taking the Tingle Creek Chase. Un De Sceaux gave him a bit of a scare, but, barring injury, he looks like the closest thing there is to a sure thing at Cheltenham. If any jumps horse can rival Altior for imperiousness over the last few years, it’s stablemate Buveur D’Air. The 7-year-old is aiming for a third successive Champion Hurdle at Cheltenham 2019, and is priced at evens (William Hill) to do so. A brilliant performance in the Fighting Fifth Hurdle underlined those credentials. One of the best races this season saw Bristol de Mai go up against Gold Cup contenders Might Bite, Thistlecrack and Native River in the Betfair Chase. Bristol De Mai blew them away, as he does to other opposition at Haydock Park in the past. The only issue is that form isn’t as hot away from Haydock. It’s a puzzler. Bristol De Mai is 20/1 with Betfair for the Gold Cup and, while he is erratic, you can get Cheltenham betting offers, like free bets, to back him. The perfect shot to nothing horse. End of the dream for Faugheen? Faugheen, for some the greatest hurdler of a generation, has had several ups and downs over the past couple of seasons. 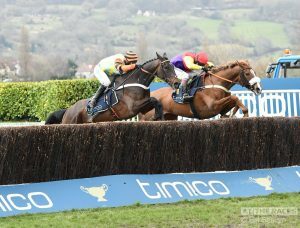 There was a hint of reinvention last April, with a stunning win in the Irish Champions Stayers’ Hurdle at Punchestown. His first run this season was thoroughly mediocre, finishing second in a field of horses who wouldn’t be anywhere near him at his peak. The question is: Has he still got one last great run in him? He is 12/1 for the Stayers’ Hurdle 2019 with Sky Bet and William Hill. Currently, however, BetVictor have put him at just 3/1 and favourite. It’s a measure of the respect that this horse is held in. If he does win, it will see the biggest cheer of the Festival. Willie Mullins has apparently got another superstar on his hands with the 4-year-old French import Annamix. The only problem is that a pelvic injury has meant we have yet to get a look at Annamix, except for a lone second-place finish in France. 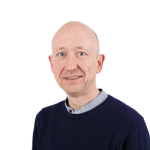 However, that hasn’t stopped the bookies from putting the horse in as the favourite – around 9/1 with several betting companies – for the Supreme Novices’ Hurdle. The horse must look exceptional in the training yard. What Dictates How Fast You’re Paid Out on a Bet? 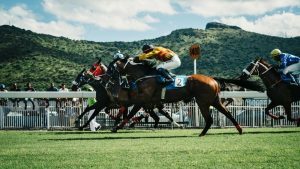 When it comes to betting on the horses, there’s no doubting that the rise of online gambling has ensured it’s never been easier. Whereas once we were limited to bookies alongside the track, we now have access to dozens – if not hundreds – of betting outlets right at our fingertips. It’s led to a situation where there’s more information than ever before, better odds than we’ve ever seen and more control than we’ve had in previous decades. It’s great, but one area where online gambling falls behind though is in how you cash in your winnings. With a physical bookmaker there’s rarely an issue, simply wander up with your ticket and collect your winnings. For larger sums, there may be a small delay but in general, you can expect your money within a few hours – at the very most. Online gambling, however, typically sticks you with a pretty frustrating delay – often up to 72 hours before your withdrawal hits your bank account. For those of us who regularly flit between multiple bookmakers in search of the best odds, the process of waiting multiple days to receive our winnings can be a real killer. But what is it exactly that slows down your withdrawals and is there a method to reliably improve the speeds? Let’s take a look. While it’s true that some websites are better than others when it comes to withdrawal times, the biggest factor in how fast your withdrawals come through is actually the payment method you opt for. We all know that fast payouts are important, but how fast they are is often not up to the bookie but to the payment processor. By far the most common payment method used is bank transfers and card payments, but this also the slowest thanks to the large numbers of transactions banks complete every day. Checking the validity of payments isn’t too quick on their end, and so payments typically take between one and three days to complete. However, if you’re using the likes of Skrill or another e-wallet like Neteller, payments are almost instant following approval from your bookmaker. It’s why we always recommend making the shift to an e-wallet when you’re gambling online. Another major element which can slow down your withdrawal time is the details linked to your account. If any information is missing, like age verification, the bookmaker will halt your withdrawal until you can sort the details out. As such, it’s always worth making sure your documents are up to date and you’ve supplied your bookie with whatever information they require. Perhaps the most common reason for your withdrawal being halted though comes from the strong anti-fraud measures in place at online bookmakers. By tracking the IP addresses you use to access their website, they can get an idea of where and when you access their services. If your account is spotted doing something suspicious, like betting from a completely new location and device, the bookmaker may well put a halt on your account. It’s a similar sort of protection method that your bank undertakes, so it’s not particularly out of the ordinary. Try to avoid making bets on computers and phones which are unfamiliar, as this can raise red flags with bookmakers. And that’s it! Get out there and enjoy your ultra-fast withdrawal speeds.